Ark Industries works towards being the top provider of affordable, reliable and high quality custom embroidery services in Singapore. This includes fast turnaround time, quick response from our sales team and excellent workmanship. We know that aesthetic quality is important in many ways, such as making a good first impression and to be perceived as professional. It is our aim to help our customers look good and to be their partner in their corporate journey. We look towards a long term partnership with brands, companies and individuals to create high quality products. We recognise the importance of being a trusted supplier and we believe in sincere service to build a strong working relationship. 2D embroidery refers to the direct embroidery on fabric of apparel. How good a 2D embroidery depicts your artwork, logo or text depends on how well the artwork, logo or text is digitised to suit the fabric of a particular apparel. A professional digitiser is required to do tests to determine the best way of digitising the artwork, logo or text. How dense the thread, which colour is embroidered first and which type of stitch to use – these are some considerations of an embroidery digitiser. Depending on the artwork, logo or text, the digitiser will choose the most suitable stitch type. For example, perhaps the text is very small and the digitiser will perhaps choose to use a running stitch. Another example is there is a wide area to be filled with thread, the digitise may choose to use the tatami stitch. 3D Embroidery or puff embroidery is preferred for big and bold artwork or text. 3D Embroidery is most suitable for the front crown of caps. 3D embroidery and 2D embroidery can be done together to create a stunning visual of the logo or text. 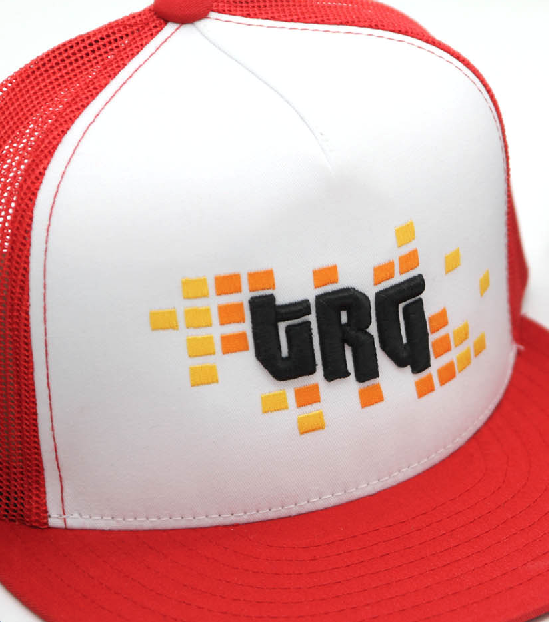 For example, the big and bold text can be done in 3D embroidery while the small text can be done in 2D embroidery. 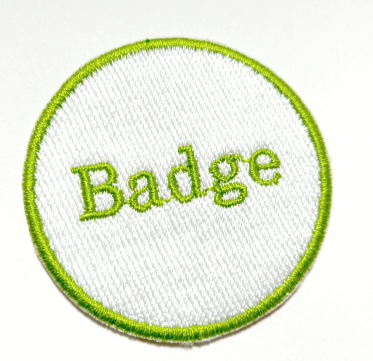 If you need badges with iron-on or hoop and loop patches, we can make those as well. It can be a circle, square or rectangle in shape. There are some limitations in text size as we do not recommend embroidering small text that are difficult to read. If needed, we might recommend doing some editing to the original artwork or text to make it suitable for embroidery. If you require embroidery of the same logo to be done on different polo tees which are made of different fabric types, the embroidery files might require tweaking by our digitiser to ensure the embroidery is excellent and consistent on the different types of fabric. Our embroidery digitiser will do several tests to ensure the best embroidery outcome, you can be assured that we provide reliable embroidery service. 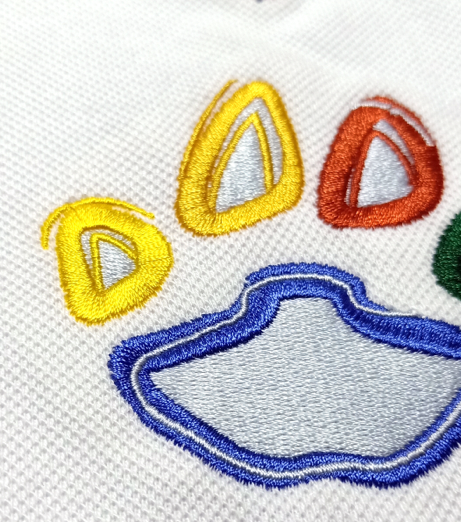 Even with a fast turnaround time, there is no compromise for embroidery quality. We require a high resolution, clear file of your artwork to be able to digitise it well for embroidery. Once we receive the file, we will assess if any element needs to be edited or changed in order to be embroidered and advise accordingly. For example, we might let our customer know that the gradient colours cannot be replicated a 100% or that some fine lines or small shapes will need to be omitted.